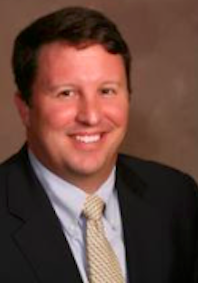 The Savannah Economic Development Authority announced this week that Matt Poyner has been named Vice President of Business Development. Poyner, who will begin on October 8, will lead business recruitment initiatives for the authority. The executive search was conducted by The Chason Group, a Georgia-based executive search firm specializing in economic development, chambers of commerce, foundations and other non- profit organizations. Since June 2012, Poyner has served as executive director of the Development Authority of the City of Milledgeville and Baldwin County. During his tenure in Milledgeville, he has orchestrated the expansions of Mohawk and Triumph Aerostructures and was responsible for many new business announcements including Chem-Tex and Japan Based StraPack. Poyner also has extensive experience in developing product for industrial sites, including a 1,643-rail served, Georgia Ready for Accelerated Development (GRAD) tract in Baldwin County. In addition to his work in Milledgeville, Poyner has held positions with the Georgia Department of Labor and the Macon Economic Development Commission.